Reading Basics is a four-level series that supports literacy and critical-thinking skills with evidence-based reading instruction that emphasizes comprehension, vocabulary, fluency, and phonics/word analysis. Student materials provide review, reinforcement, and extension of instruction. The program includes a comprehensive Instructor’s Guide with assessments, answer keys, additional lessons, and activities. 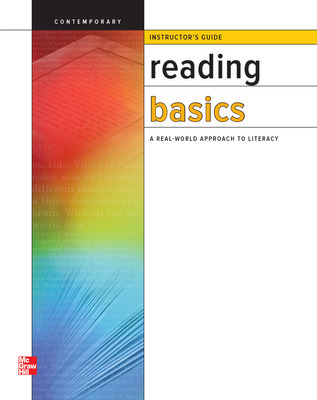 Reading Basics is a four-level series that uses high-interest nonfiction texts to engage adult learners and support literacy and critical-thinking skills. 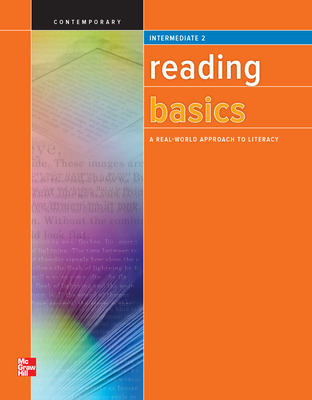 Evidence-based reading instruction emphasizes comprehension, vocabulary, fluency, and phonics/word analysis. Student materials provide review, reinforcement, and extension of instruction. 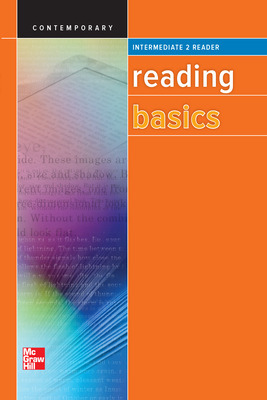 The program includes a comprehensive Instructor’s Guide with assessments, answer keys, additional lessons, and activities. Includes TABE® correlation charts, and Student Readers with articles in an mp3 file format. GED®, GED TESTING SERVICE®, and GED PLUS® are registered trademarks owned by American Council on Education (“ACE”). 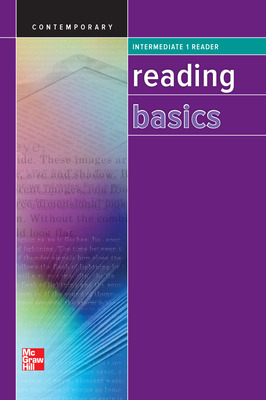 This [book/material/content] is not endorsed or approved by ACE or the GED Testing Service LLC. TASC Test Assessing Secondary Completion is a trademark of McGraw-Hill School Education Holdings, LLC. All rights reserved. McGraw-Hill is not affiliated with The After-School Corporation, which is known as TASC. The After-School Corporation has no affiliation with the Test Assessing Secondary Completion (“TASC test”) offered by McGraw-Hill, and has not authorized, sponsored or otherwise approved of any of McGraw-Hill’s products and services, including the TASC test. HiSET™ (High School Equivalency Test) is a trademark of Educational Testing Service (ETS).